Mavhaire, who was last week convicted by magistrate Hosea Mujaya for refusing to testify, told the court that when he recommended Kazhanje’s appointment to the board, he had only seen his curriculum vitae. Mavhaire told the court that the President’s Office could have unearthed during vetting process that Kazhanje had interests in Intratrek before his appointment. 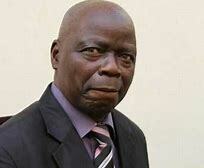 “Kazhanje had never disclosed to me that he had interests in Intratrek Zimbabwe. If he had declared, we could have not appointed him to the board since he had proved that he was conflicted,” Mavhaire told the court.